The last Tangent album The Slow Rust of Forgotten Machinery was released in July 2017, just over a year ago. It was radical and political, featuring spoken word poetry and a high degree of controversial lyrical experimentation. It was a stark, cynical and cutting commentary on the political state of our world and proved that no-one can accuse Tangent bandleader Andy Tillison of being unclear about his convictions. I am, frankly, still absorbing the acerbic uniqueness of “Slow Rust”, and now, just one year later, its follow-up, Proxy is about to be released. Should we expect more of the same? Before analyzing the album, one should note that Proxy was written and recorded while Tillison and his cohorts were on tour with Tangent bassist Jonas Reingold’s other band Karmakanic (double-billed as “Tangekanic”.) You can hear it. New drummer Steve Roberts (Magenta) slots in beautifully, Luke Machin is his usual remarkable self on guitar, and guest vocalist Goran Edman (Karmakanic) is as sublime as ever. The ubiquitous Theo Travis also appears on the album and maintains his dominance as Prog’s top flautist and saxophonist. The core band’s live touring chops can be heard on the album, and it proved a good idea to have largely got it done while on tour. There is an audible collaboration and interaction between the band members, and the result seems somehow less fragmented than “Slow Rust”. But does Proxy continue the open political exegesis of that album? The political commentary does indeed reprise with the first song “Proxy” (and elsewhere), so there is thus far no surprise as to the lyrical content. 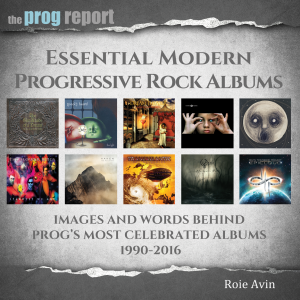 But importantly, “Proxy” is also 16 minutes of proud musical exposition of influences like Camel, ELP and King Crimson. It seems that, while not abandoning their political commentary for a moment, The Tangent are, this time, not going to allow it to subsume the music. Sweeps and washes of keyboard emotion interspersed with lightning-fast proggy jabs, spearheaded by Reingold, are the order of the day – but always with the familiar spectre of Tangent jazz in the background. Flute melodies, bass solos, jazz passages, guitar from heaven, brilliant keyboards and generally silky Prog are delivered in classical style for sixteen minutes. Tillison’s voice is smoky and cynical. The song is about the Illuminati secretly controlling world economies, and the language used by the top Illuminato (read President) about certain emerging economies, sounds very familiar indeed. 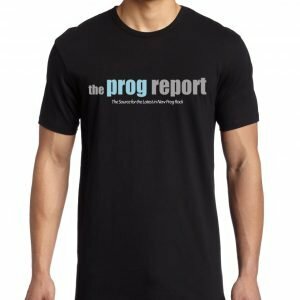 A Moog makes an appearance, and all is well in The Tangent’s book of Prog. 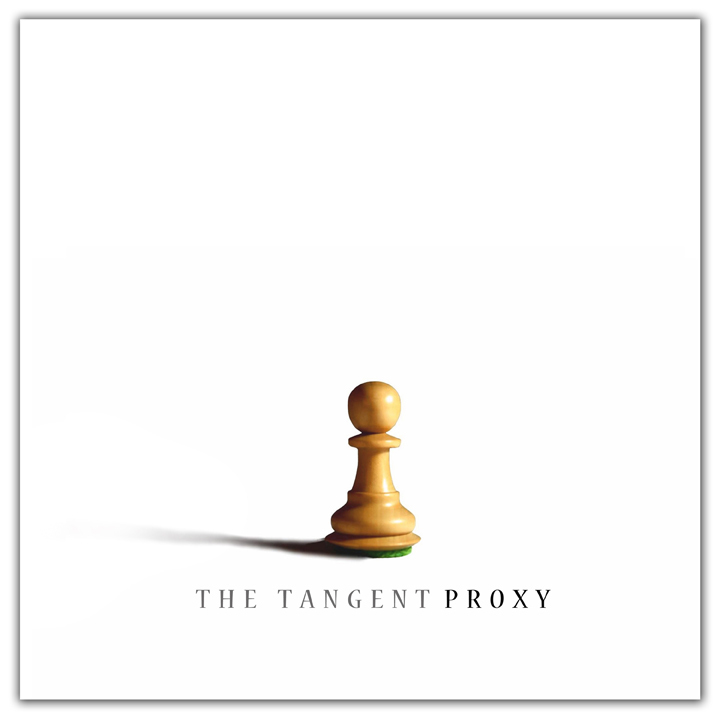 Long, epic and intense, “Proxy” sounds just like the bands that these fine musicians grew up listening to, only with all that jazz added, and much more contemporary subject-matter. Actually, it sounds like the Tangent. “A Case of Misplaced Optimism” is bass-driven jazz-funk, done Tangent-style. A smooth and silky Edman/Tillison jazz vocal with horns, a fluid sax solo and funky backing vocals, it creates as much of a departure from traditional Tangent as you will hear on the album. Apparently, the song is an ‘attempt to find the link between Porcupine Tree and Jamiroquai’. Pretty much. Reingold can, of course, funk it up with the best of them, and while JK’s voice might be absent, this does indeed sound like the likely result if he had had a moment of madness and tried to go Prog with a baritone on lead vocals. “Supper’s Off” is in my opinion the best track on an already superb album, approaching the more driving, melodic style that most listeners will find more accessible (Reingold’s Karmakanic influences are strong on this one.) But don’t fear for a moment that Tillison has abandoned his societal commentary and sense of irony – on the contrary, this is as cutting as any of his lyrics, only exposed on a format that is more reliant on the music. Tillison’s verses are more spoken (even snarled) than sung, only this time in perfect juxtaposition with the instrumentation. 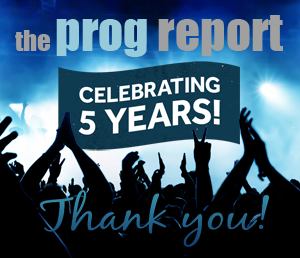 The song comments on modern culture, the music industry and, I believe, Prog in particular. He looks back at the Woodstock phenomenon and how that movement morphed into the corporate music scene and today’s society in general. Tillison does not want to go running back off to the 70’s like other bands, but he also reflects on the recognition that he would probably have more easily have achieved at that time, or by revisiting its music, and he muses on how society has missed a similar opportunity to become better. Supper is not ready – it is off, yet ironically, the song’s musical structure could indeed have been written in the 70’s. Tillison snarls that those who were at Woodstock are now playing the stock market and watching half-time at the Superbowl. “We try to change the world but the world wont take the hint, they go running back off to the 70’s and all the other bands are skint.” Classic in every sense of the word. Filled with long, developed suites of music, intricate instrumentation, challenging arrangements, conflicting but convergent styles and virtuoso performances from all members, Proxy has no central theme, but is rather a varied carnival of juxtaposed styles and approaches, laid over lyrics that are often social commentaries. The press pack states that this is a new direction from The Tangent. I really don’t hear that, but that’s not a bad thing at all. There are certainly some points of experimentation, but I do not believe for a second that die-hard Tangent fans, desperate for their next fix, will shrug their shoulders at any point. On this album, Tillison seems intent on fusing and aligning all his myriad influences, from Prog to jazz to rock to ambient, to fusion. Somehow he succeeds in packing it all in, and it does work thanks to some innovative arrangement, brilliant playing and excellent production. Importantly, while Tillison’s political commentaries form a pivotal a part of this album as they did in its predecessor, it is done in a slightly less obvious way, and with more deference to the music. There is no outright spoken word on this album, and I think, while that was an interesting diversion on “Slow Rust”, Proxy is better for its more subtle approach. Above all, the band seems to be having fun with this one, therefore you should too.